There is no question that the Fuji GFX is the talk of the photo industry right now. Fuji’s announcement at Photokina made it the talk of the show. Leap-frogging over the traditional DSLR format Fuji made the bold decision to create a new format, the “G” format. Trying to break away from the medium format nomenclature, they want us to think of the GFX as a different new format. The traditional medium format has always been at least a 6cm x 4.5 cm or larger. The new G format is a 51.4 MP sensor measuring 4.38 x 3.29 cm. 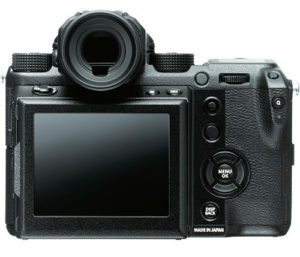 The GFX will not use the X-Trans sensor as is used by the present Fuji X system but a typical Bayer pattern sensor. The camera boasts a removable viewfinder that is also able to swivel for waist level viewing, oblique and vertical viewing. While no exact ship date has been announced, Fuji hopes to see the delivery of the GFX start in early 2017. 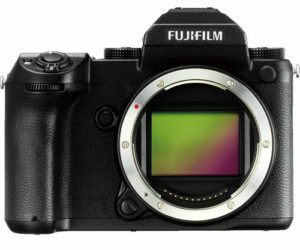 Price has not been released yet either—but as Fuji is quick to point out, it will be less than $10,000 USD. Fujifilm has announced six lenses to be released over the course of 2017: the GF 63mm f/2.8 R WR, which is a standard prime 50mm equivalent lens; the wide-to-normal zoom GF 32-64mm f/4 R LM WR, which offers a 25-51mm equivalent focal length; the mid-tele 2:1 macro GF 120mm f/4 Macro R LM OIS WR, which has a 95mm equivalent focal length; the GF 23mm f/4 R LM WR, which is an 18mm equivalent ultra-wide; and the standard wide-angle 35mm equivalent GF 45mm f/2.8 R WR lens. 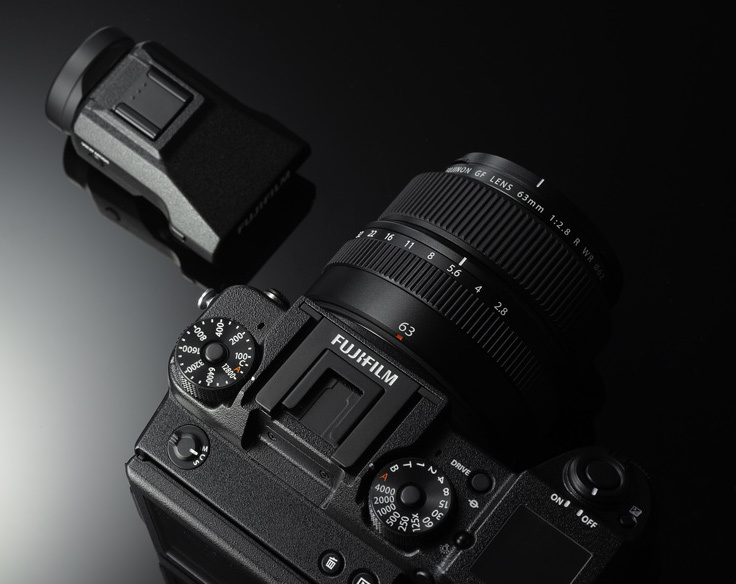 I had the opportunity to sit down at Photo Plus in New York City with Billy Luong of Fuji Canada and Makoto Oishi, the Fujifilm Product Manager for the GFX system. It was a chance to ask questions and learn more about the GFX system. Enjoy this short video interview and hear what Fuji has to say.